Sublime Malibu Cartridge is the optimal vaping experience. 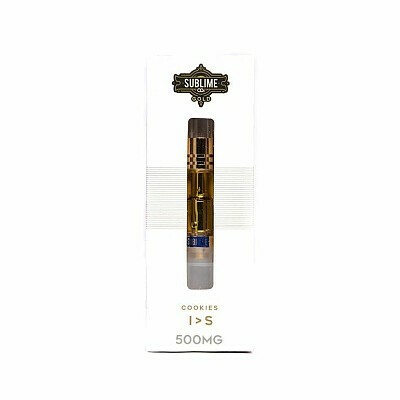 Impossibly smooth and sweet, Sublime's Gold cartridges are made with glass tips that make for better hits. CO2-extracted from Cookies flower, experience "dab-like" pulls with a mouthful of terpenes and cannabinoids.